The USB lighter socket thingy is great, with the volt/ammeter easily readable, a problem I’ve had with similar devices. $10 well spent. 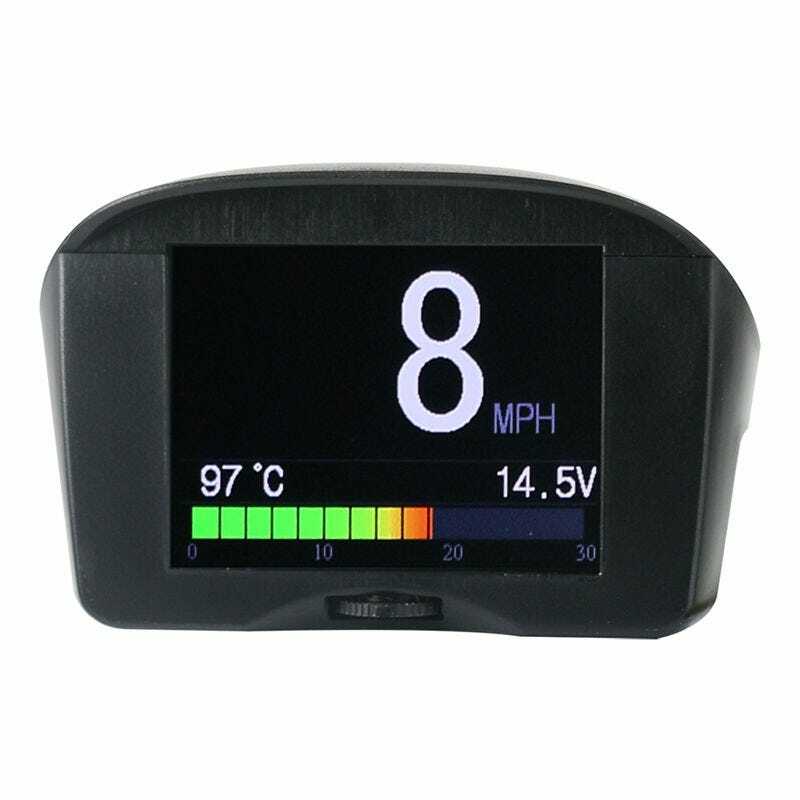 The OBD2 thingy is about what you’d expect from a cheap ($25) generic Chinese device. The manual is next to worthless, the control feels a little cheap, there are typos in the menus and I don’t exactly trust things like the fuel economy data to be all that accurate. Some settings couldn’t be changed even though they were changed earlier, but after trying again later I could change them (and there were now more options). I’m not sure about one setting, LHK, which I assume to be fuel economy in litres per hundred kilometer, but that’s just a guess. I bought it for coolant temp and volts, with anything else being a bonus; I already have a code reader (albeit an old one) and DashCommand on the phone, but I thought a standalone device would be a nice change and would allow me to use the phone for navigation.